Check out all of my Love Goodly reviews! Each box comes with an info card detailing the items included. And there’s also an additional card if you are a VIP subscriber ($47.95 a box). It’s my understanding that a lot of balms aren’t vegan-friendly, so this is an amazing find! The ingredient list is super simple: just castor seed oil, glycerin, and hydrogenated castor oil! This scalp oil is designed to help control and balance excess oil from your hair and scalp. The oil is lightweight (I applied this to dry hair and didn’t get greasy hair), and the essential oil blend has a soothing spearmint scent – it felt great massaging this into my scalp. This lipstick is so fun! You click the bottom to release it, and the matte gold case is gorgeous, too. And most importantly, the formula is lovely, too. It’s hydrating, with tons of shine and shimmer. I’d think of this more like a lip topper than a fully pigmented lipstick. I feel like subscription boxes are leading the way against plastic straws – I now have a significant collection of stainless steel and glass straws! These are a favorite snack at MSA HQ! I avoid dairy and gluten in my diet, so I never know if something would taste good to someone who is used to eating gluten and dairy every day, but my husband Eric loves regular cheese and loves these too! This is one of those magical moisturizers that manages to be both rich and hydrating but also dries almost immediately. It leaves skin with a matte finish, so it’s a great daytime moisturizer you can use before makeup application. And if you are sensitive to scents – this one has no added fragrance, and no detectable scent, either. Verdict: This box has a value of about $88.50 (Not counting the VIP item). I think that’s great for a $30 vegan lifestyle box! I love the high-end natural beauty brands they are featuring, and there were some new brand discoveries for me this month, too! What do you think of the August/September Love Goodly box? Do you like the new VIP option? 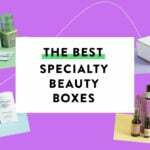 I have tried many beauty boxes over the last couple of years. Love Goodly has unique and quality items in every box so far, and is always well worth the money we pay for our boxes. Being in my 50’s…I want great, useful items every time, and Love Goodly never disappoints 💝 all of the items were very nice, but I think I was the most excited about the stainless steel straw 😃 we sure didn’t have anything like that when I was younger. I got a small bottle of a similar hair treatment from goddess provision months ago and loved it! I find it can take the place of dry shampoo on the second day of a shampoo, it seems counterintuitive than an oil product can make my hair feel cleaner and drier but it does! I think I want to upgrade next box to the VIP. It’s been fun tying this box and so far they’ve sent different and useful items. Oh wow! That’s a really good box. I’m such a sucker for oils…. If I didnt have so many stuff accumulated, I would for sure get that box. I would contact them, they have great customer service. The last box I got was missing an eyeliner and they replaced it very quickly. Thank you. I actually just saw the spoilers and it looks like the Lipstick was just left out. I’ll contact them. Thanks again!